// 1330 UTC added "my gear" and some content to the archery section. 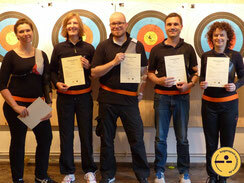 as of saturday last, we have also successfully completed our prep course and passed the orange belt exams. yeah!